This article originally featured on my old blog on 19th January 2010. In a previous post I talked about Critical Mass of software. I showed how an ever-increasing cost of change resulted in it becoming more economical to completely rewrite the system than to enhance and maintain the original. I explained how this could be avoided by using practices that sustain a consistent and flat cost of change. I also mentioned that you could defer reaching critical mass. Some teams find it difficult to get the time to do this because “the business” always has “more important” or “higher-value” things on their backlog. What are the implications of reaching critical mass? Well, depending on what the software does and whether the rewritten version still has to do all of those things, it could cost millions… or more. The reality for many teams I’ve encountered is that they don’t feel empowered to push back on the business’ demands for that next feature in half the time it takes to do it properly. If we could present back the impact of that choice as shortening the time to Critical Mass and bringing about costs to replace the software far in excess of the value gained by delivering that feature a month early then perhaps the business would be better informed. A big visible chart on the wall, showing the estimated point at which Critical Mass was reached could play a big role in getting the business more interested in sustainable change, or at least inspire a conversation on the subject. The problem with this idea is how do we credibly determine when Critical Mass is going to be reached? Many experienced practitioners could probably reasonably accurately estimate when that was going to happen purely on gut feel but this would be torn to pieces by many product managers. I’ve not solved this problem yet because doing this would require a mathematical model, determined by empirical data. I think it is possible, however, to come up with a simple model based on the average complexity per unit of value (assuming that the team is using value and complexity). Trending this and keeping an estimate of a complete re-write up to date might allow the simple charts above to be maintained along side release-level burn-down charts. These ideas are still in their infancy for me. Has this problem been solved already? If not, I encourage others to explore my hypothesis and help take it from just an interesting idea to something more useful. This article originally featured on my old blog on 18th January 2010. Critical Mass of Code – past which the changeability of the code is infeasible, requiring that it be completely rewritten. Critical Mass of Software: the state of a software system when the cost of changing it (enhancement or correcting defects) is less economical than re-writing it. Note:The cost of a rewrite gradually grows at first to account for the delay between starting the re-write and achieving the same amount of functionality in the original version of the software at the same point in time. The gap between the cost-of-change and the cost-of-rewrite begins to decrease as the time it takes to implement each feature of comparable benefit in the original version grows. It was just one of those thoughts that popped into my head. I soon discovered that critical mass of software is not a new idea. One opportunity that I feel organisations miss out on is that this can be used as a financial justification for repaying technical debt, thus preventing or delaying the point at which software reaches its Critical Mass, or avoiding it altogether. This flat cost of change curve is one of the motivations of many agile practices and software craftsmanship techniques, such as continuous integration, test-driven-development, behaviour driven development and the continuous refactoring inherent in the latter two. A flat cost-of-change trend is good for the business, as they have more predictable expenditure. This certainly defers reaching critical mass but it doesn’t prevent it. Unfortunately, I see more teams taking on technical debt and not repaying it (for various reasons, often blamed on “the business” putting pressure on delivery dates). If we had a way of estimating the point at which we’d reach critical mass, we’d be able to compare the benefit of repaying technical debt now in order to avoid or delay the cost of a rewrite… or even better, demonstrate the value of achieving a flatter cost of change. I’m not sure that we have the data or the means of predicting it, but perhaps these illustrations of a hypothetical scenario will help you explain why sustaining constant quality, automating repeatable tests (or checking as some prefer to call it) wherever technically possible and, on those occasions when we do need to make a conscious choice to compromise quality to capitalise on an opportunity, that the debt is repaid soon after. One company I know reached this point a couple of years ago and embarked on a department wide transformation to grow their skills in agile methods so that they not only re-wrote the software but could also avoid ever reaching critical mass again. A bold move, but one that paid off within a year. Even for them, they’ll need to avoid complacency as time goes on and not forget the lessons of the past. Let’s hope they do. Gearboxes in competitive motor racing are designed to shift as fast as possible. A competitive race-car has computer controlled, hydraulically activated gear shifts that change gears up or down faster than you can blink (literally)! In Formula One, each shift is so fast that the gearbox systems have been dubbed “seamless shift” gearboxes and can shift gear in around 2-4 100ths (0.02 – 0.04) of a second. Compare that to the circa 1-2 second gear-shift a competent driver takes to manually de-clutch, change gear and re-clutch on a road car. Even automatic gearboxes on road cars can’t keep pace with the rapid gear changes that a race car delivers. The race car is only saving fractions of a second with each accelerated up-shift, but the race-driver changes gear so often per lap and there are so many laps in a race that these fractions of a second can add up to a vital and significant lead over their competitors. Set aside the lap-time improvements for a moment from spending at least half a second more on the power per up-shift than with a manual box… The modern F1 driver has much more to do in the cockpit too than the comparative tedium of changing gear . Now, in motor racing, such gearboxes are taken for granted. 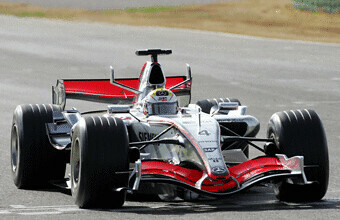 No serious Formula One racing team would put their car on the track without one. In a world where a lot of software development is for companies competing in the economical equivalent of a race, it seems that development teams aren’t taking full advantage of their own metaphorical millisecond gear-shifts. There are tools that are a developer’s equivalent of a racing gearbox. The simplest example is background compilation. Other examples are refactoring tools that make widespread changes with a simple key-stroke. What once took minutes or hours with global find & replace or even scripting, we can complete in seconds. IDEs that automatically complete class-names and method names are another example. These are tools that many of us take for granted, like the racing driver and automated gear-shift. But there are other places where we are still not taking full advantage of the technology. I am still encountering surprisingly few people using continuous testing tools, where tests are run automatically in the background every time a file is saved, and not just the test I’m working on, all my tests. There are a few tools available for this, including Infinitest and ZenTest. 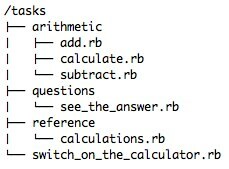 Despite the availability of such tools, I still see many developers using keyboard shortcuts to execute tests. Or, worse, reaching for the mouse, right-clicking, navigating another menu level down and running the tests with a left-click, or worse still, forgetting to run them altogether. I want rapid feedback with minimum friction to obtaining it. Much like background compilation, unit tests should just run, and run often, alerting us when a problem occurs. The easier they are to run, the more likely we are to run them… How much easier could it be than it happening automagically each time we save a file? At the Monaco GP, an F1 driver will change gear around 50-60 times in one lap. Over 78 laps, this adds up to as many as 4680 gear changes over the whole race (up and down-shifts). The comparative tedium of de-clutching, shifting and re-engaging the clutch is something that a race-driver should not need to worry about as they approach 200mph while adjusting the brake-balance lever, switching to a new fuel-air mixture setting, pressing the KERS boost button and/or deactivating the Drag Reduction System. Putting Cucumber where it’s not supposed to go will hurt! Today, I came across this post by Ryan Bigg where he talks of the pains he’s experienced with Cucumber. Fortunately for Ryan, the outcome was a positive one, he ended up finding what appears to be a nice looking API for automating test-execution. The experience he had with Cucumber, however, is a common one. Often teams start using Cucumber in an effort to reduce the need for programming skills when writing automated tests. This isn’t the problem that Cucumber and other BDD tools are trying to solve and this is why so many teams who misuse it in this way experience difficulty and frustration. BDD tools like Cucumber are designed to help teams and their customers arrive at a shared understanding of the problem they wish to solve (in terms of the user’s goals and tasks). It’s not really intended to describe the solution (i.e. step-by-step interactions with the GUI). b) Trying to do BDD but writing the scenarios at too low a level of detail. If you’re doing the latter (b)… then you may find the post I wrote over the weekend useful. If what you’re doing is (a) then the post I wrote over the weekend might help you go down a path where automating your tests will make the transition to BDD that much easier. In my previous post, I gave the background to me spending the next month or two as a developer on a youDevise product. I’ve just completed my first ‘official’ week working with them. It was one of, if not, the smoothest of inductions I’ve ever experienced. I arrived and was shown a desk to work at. There was a welcome letter in front of a dual screen developer machine with Ubuntu installed. The letter told me everything I needed to get logged in, access e-mail and wiki links telling me where to find the rest of the information I needed to configure the machine. For the project I was about to work on. Their CEO sent out an introduction e-mail telling everyone about me and others who started that day on the development team and in other non-technical departments. I also experienced a warm welcome from the team and was assigned a youDevise mentor to help me settle in. My first few days involved several presentations – mostly demonstrative – introducing me to youDevise products and their business model. Yet I still got to work on code almost immediately. I was very lucky to get to pair with their summer intern, Marius Cobzarenco, on a part of an all-new reporting capability for one of their products. I am so impressed with Marius. He left Cambridge University only three weeks ago and I have to say he is one of the most competent graduates that I’ve ever met! He has a level of technical competence that rivals many much more experienced developers and he has a passion and aptitude for learning that is rare. He became competent in Behaviour Driven Development after working with me for only an hour or two and fell in love with the approach. I was so impressed with him that I decided to sponsor his attendance at a TDD workshop this weekend with Jason Gorman. Marius is a reflection of the high standards youDevise sets for itself. Whenever I’m there, I never feel like the smartest person in the room. Speaking of smart people, other youDevisers I’ve also had the opportunity to work with include Joe Schmetzer and Stephen Siard. These guys stand alongside other similarly impressive and diverse individuals that I’ll mention in future posts – each with their unique talents. Next week, we start a new iteration. I’ll be seeing what it’s like working with some of their legacy code. Based on what I’ve seen so far, at least I know they recognise where they have legacy and that they are passionate about writing tests and cleaning the code up as they go.